Saleem Rana is a freelance copywriter and an international journalist with more than 25 years of experience writing for print magazines and online publications. 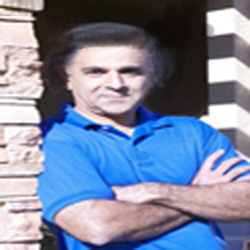 Saleem has written thousands of articles and several books over the years on a wide range of topics, with an emphasis on psychology, health, and business. Saleem has been fascinated by the theme of personal development since he first read his father's encyclopedia Britannica on Freud, Jung, and other famous psychologists at age 14. Later as a journalist, he interviewed highly successful people and tried to figure out what attitudes and belief systems were responsible for their wealth, fame, and success. After he retired from journalism, he went back to school and did a Master's in Psychology; after graduating from California Lutheran University, he practiced as a psychotherapist. Personal development, he believes, is the act of taking responsibility for our maturation process. When we make a deliberate effort to improve for the better, we enjoy success in life. But it takes courage and a willingness to identify the areas that we wish to improve, set goals and make plans, and refine our strategies as our original ideas change with more experience. These books are based on his experience interviewing company executives around the world as well as his experience as a psychotherapist after he retired from journalism. His books offer answers to why some people make big breakthroughs while others remain stuck. He is currently researching the literature on low self-esteem and is planning to write his seventh book on self-esteem. When interviewing successful business people as a journalist, and later when interviewing patients as a psychotherapist, Saleem noticed a recurring theme: Those who did well in life usually had found a way to manage stress, while those who were in a state of crisis initiated that crisis because of pre-existing stressful behavior. Stress management is not only essential for health and well-being, but it is also responsible for how much money we make and the quality of our relationships. Saleem has written numerous articles on stress management. He has researched and written about relaxation techniques, instant stress relief in the midst of a crisis, and how to stop worry and anxiety. He has covered topics like recognizing stress, stress at work, burnout symptoms, stress in relationships, and stress related to job loss or a serious illness. As a psychotherapist, Saleem learned about relationships firsthand by counseling couples, talking to people who wanted to get in a relationship, and working with people going through a separation or divorce. He has written articles on the meaning of relationships, how to make more friends, how to influence people positively, and how to be a better husband, wife, or parent. He has also written on reconciliation, healing heartbreak, and dating. When working as a psychotherapist, Saleem came across many patients who had a variety of sleep disorders. In fact, by working with them to resolve these problems through therapy and medical assistance, he noticed that many of the psychological issues and stress disorders that they consulted with him on simply disappeared. He later wrote articles on sleep apnea, how to stop snoring, sleep deprivation, sleepwalking, talking in sleep, insomnia, hypersomnia (the opposite of sleep disorder! ), sleep paralysis, trouble falling asleep, REM sleep disorder, night sweats, and excessive sleeping.